If you have a sweet tooth then this episode is made for you! Follow Martha on a sweet tour of the Gulf as she whips up sugar creations sure to please with beehive buns, semolina coconut cake, sesame caramels, and brûléed saffron custards. 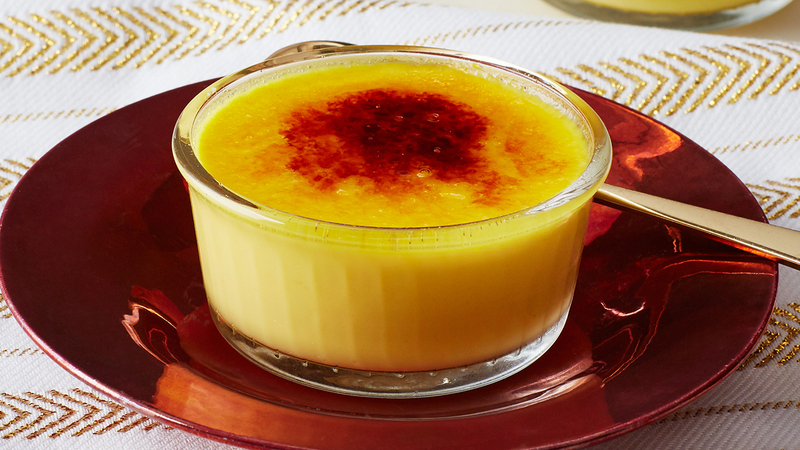 This bruleed saffron custards recipe appears in the "Sweets" episode of Martha Stewart's Cooking School. Preheat oven to 325 degrees (160 degrees C). Bring a kettle or pot of water to a boil. Place six 1/2-cup baking dishes in a large baking or roasting pan. In a medium saucepan, combine milk, cream, saffron, and cardamom. Heat over medium just until mixture begins to bubble around the edge of the pot, 7 to 8 minutes. Remove from heat and let steep at least 20 minutes. Whisk together egg yolks with 1/3 cup sugar and salt in a large bowl. While whisking constantly, add a small ladle of hot milk mixture to the yolks. Repeat process until all of the milk mixture has been incorporated. Strain mixture through a fine sieve into a large liquid measuring cup. Divide custard evenly among baking dishes. Place pan in oven and add enough boiling water to pan to reach halfway up the sides of the dishes. Cover baking pan with parchment-lined foil and bake until custards are just set (they should tremble slightly in center when shaken), 30 to 40 minutes. Using tongs, carefully remove custards from hot water bath to a wire rack and let cool for 30 minutes. Refrigerate, covered with plastic wrap, at least 2 hours and up to 3 days. Sprinkle each custard with 1/2 tablespoon sugar. Working with one at a time, hold a handheld kitchen 1 to 2 inches (2 1/2 to 5 centimeters) above surface and move flame in a circular motion until sugar bubbles, turns amber, and forms a smooth surface. Serve immediately.